Posted February 12th, 2015 at 11:32 am. 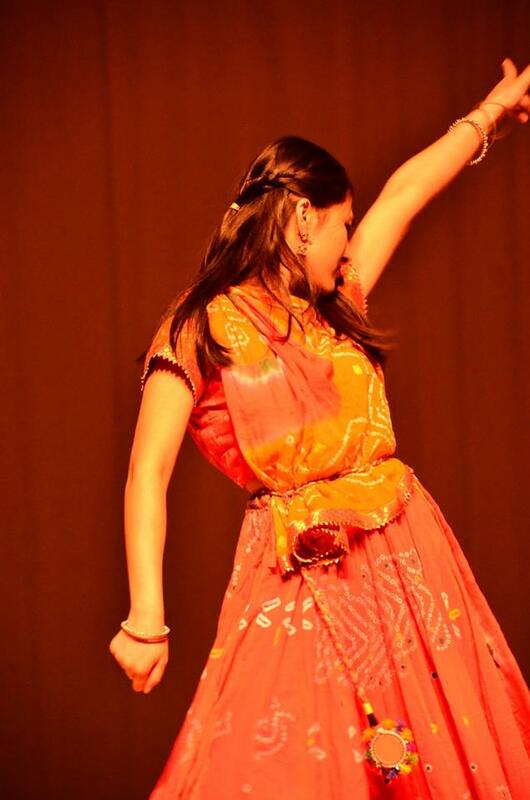 Last weekend Bryn Mawr Colleges’ South Asian Students (SAS) club had their annual culture show. It was a night full of singing, dancing, spoken word, and a fashion show that celebrated the South Asian culture and diaspora. The theme was “Pehchaan,” a word that loosely translates to “identity” in several South Asian languages. There was a guest performance from AMJ Bhangra, an all-female Bhangra team from the Philly area. The show featured video interviews of Mawrters sharing what South Asia means to their identity, as well as the SAS Board explaining what South Asian identity means to them. Alexa Sanyal ’17 photographed the performers getting ready backstage, including members of Mayuri, Bryn Mawr’s South Asian Fusion Dance Team. Minahil Naveed ’17 provided photos of the performance, and SAS Co-President Palak Bhandari’s father helped with group shots. Click here to view a gallery of images from the event. Students interested in being a part of SAS should contact pbhandari@brynmawr.edu, sbendapudi@brynmawr.edu, or bmcsas@brynmawr.edu.